Pale straw color; green apple, citrus, pear on the nose; creamy citrus, apples on fruit-forward palate. Extra dry by my palate—neither bottle nor website indicates; all chardonnay finished in stainless steel, no oak. Charmat method of cuvée close, meaning this was made in tank rather than the second fermentation in bottle of the classic Champagne method. Nice bubbles. Clean, crisp, good acidity. 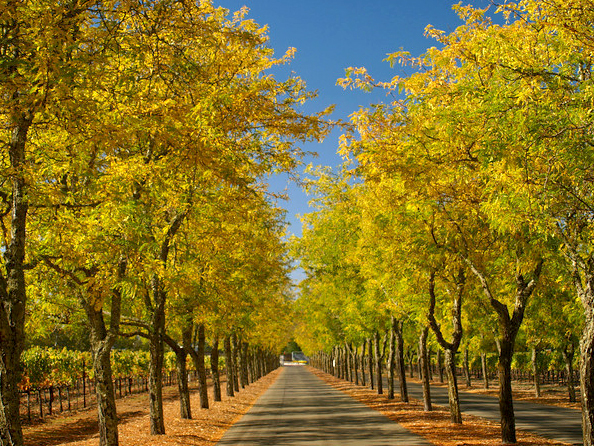 Sterling Vineyards began when British international newspaper owner Peter Newton purchased land near Calistoga in Napa Valley in 1964 and established the vineyards. 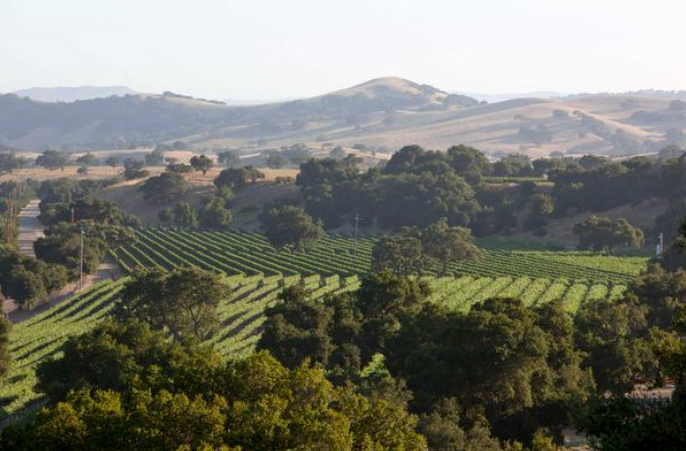 In quick succession, he purchased more land and, in addition to cabernet sauvignon, planted merlot (then virtually unknown in Napa), chardonnay, and sauvignon blanc. Bottling began in 1969, including California’s first vintage-dated merlot. 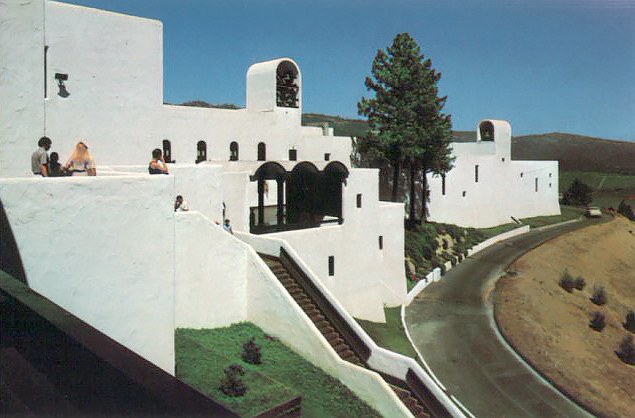 In 1971, Martin Waterfield—an officer in Newton’s company—designed a Mediterranean-style white stucco winery complex inspired by structures on the Greek island of Mykonos, where Newton once lived. 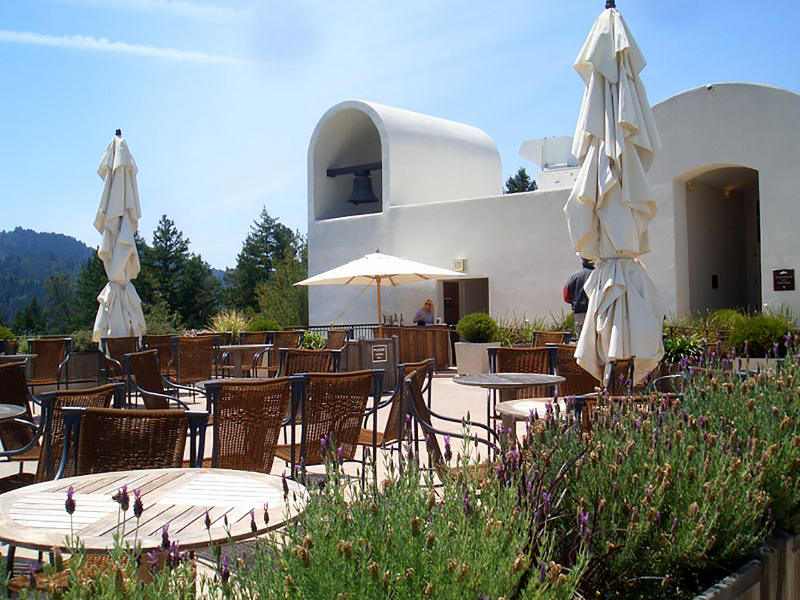 Today, the complex is one of the most-visited in Napa. The Newton family sold the winery and vineyards to Coca Cola in 1977. In 1982, Coke sold the operation to Joseph E. Seagram and Sons, and Sterling quickly became the crown jewel of Seagram’s wine efforts. Between 1982 and 2000, Sterling’s yearly sales jumped from less than 60,000 cases to 400,000. Even better, quality improved. 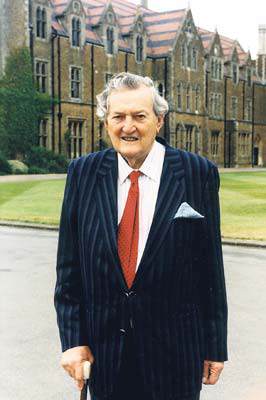 In 2001, Diageo—a United Kingdom drinks conglomerate—purchased Seagram and mixed Sterling into its existing wine business. In 2015, Diageo sold most of its wine business to Treasury Wine Estates, an Australian-based global winemaking and distribution operation that traces its roots to Penfolds Wine and Foster’s Group beer brewers. Treasury is a major international player in the wine world, making wine in 12 countries, selling more than 35 million cases of wine a year, and generating more than $2 billion in sales. 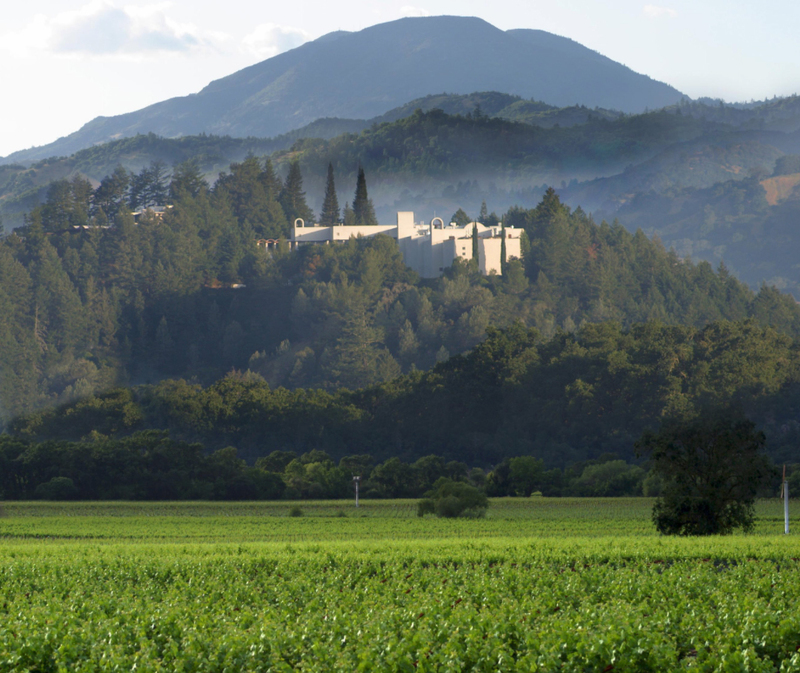 Labels you may recognize beyond Sterling include Stags’ Leap, Beaulieu Vineyard, Beringer, Chateau St. Jean, Greg Norman Estates, Lindeman’s, Wolf Blass, and their flagship—Penfolds. That history represents lots of changes and marketing directions for Sterling. Treasury tends to focus on commodity wines sold in supermarkets and mass-market liquor-beer-wine stores, which is where Sterling Vineyards largely resides today. 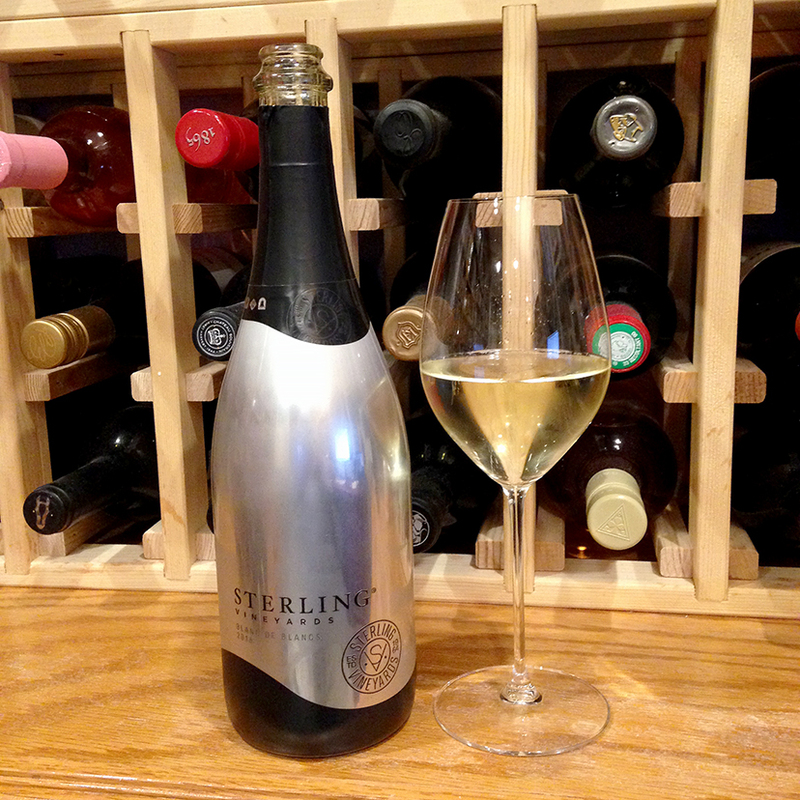 This effort is an example that Sterling delivers solid if not spectacular wine at its points; It is widely available.